Want to be notified of new releases in jmwright/cadquery-freecad-module? 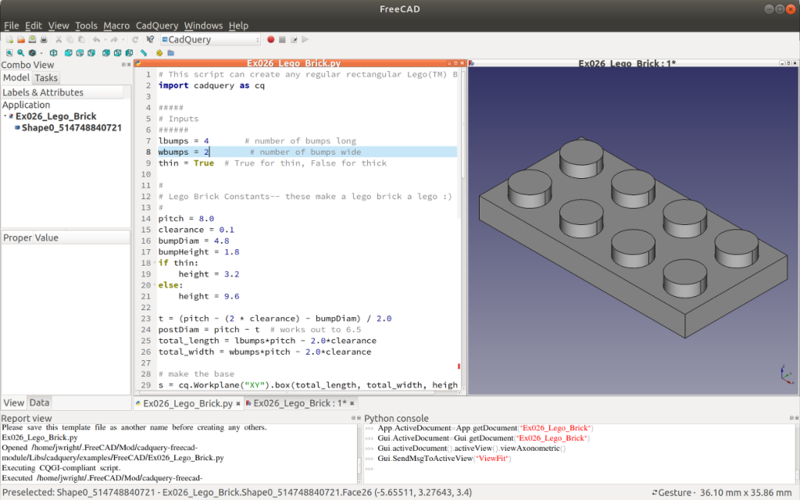 This is a FreeCAD module (aka workbench) that adds elements like a CadQuery code editor. All of the required libraries are embedded with the workbench, and so it is probably the fastest way to get up and running with CadQuery on a local computer. For users who just want to try CadQuery without installing anything, the CadQuery Jupyter Notebook might be a better choice. The documentation for this module/workbench has been rewritten and restructured, and can be found here. Below are the main entry points into the documentation.